"The Natto Supplement You're Taking Now May Be Doing NOTHING for Your Health!" 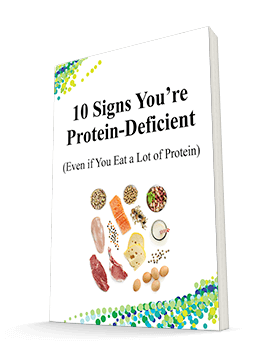 The nattokinase enzyme has been hailed as one of the greatest nutritional discoveries of the last decade. And rightfully so. Dozens of clinical studies show that natto has a unique ability to help maintain smooth and healthy blood flow. That makes natto a key nutrient to help support optimal blood pressure levels. But in recent years, not all the news has been good. You see, natto is an active enzyme. Think of it like carbonation in a can of soda. A freshly-opened can will contain plenty of fizz and bubbles. After it sits a while, though, it loses its carbonation and quickly becomes flat. Like that soda, not all natto has the same amount of "fizz." Sure it may be natto. But it may not be potent enough to do any good. And natto has to be potent to do its job. Numerous studies have shown that a good, healthy dose of natto reduces the amount of fibrin in your blood. What's fibrin? Fibrin is the microscopic sticky threads that float around in your blood. When you get a cut or a scrape, it's the fibrin in your blood that forms the blood clot and seals the wound. The dark side of fibrin is that it can get out of control. Too much fibrin in your blood can make it thick and sludgy, and you can be prone to clot internally. Fortunately, when you are young, your body produces an enzyme called plasmin. Plasmin breaks down excess fibrin and helps maintain it at healthy levels. But as you age, your body makes less and less plasmin. And that's where natto comes in. Nattokinase has been found to have fibrin-dissolving properties very similar to plasmin. In fact, when nattokinase was applied directly to a blood clot at body temperature, the clot vanished. And that's not all. Natto not only breaks up excess fibrin strands, it also activates your body's own production of plasmin. It's no surprise that dozens of studies and clinical trials over the last few years have shown the benefits of supplementing with nattokinase. Supports healthy blood pressure: A recent issue of Hypertension Research reported a study of 86 participants ranging from 20 to 80 years of age. One group was given nattokinase every day, while the control group was given a placebo (a sugar pill). Helps maintain free-flowing circulation: In another clinical trial, researchers from Oklahoma State University and Miyazaki Medical College tested nattokinase on 12 healthy volunteers between the ages of 21 and 55. What's more, volunteers showed an 11% decrease in blood pressure as well. Promotes a decrease of blood thickness: And in a study3 reported by the Journal of Clinical Hemorheology and Microcirculation and conducted by the University of Southern California, researchers incubated blood samples with nattokinase at body temperature. After 30 minutes, results showed a sizable decrease of red blood cell clumping and thickness. There are many more studies that show the cardiovascular benefits of taking nattokinase. I recommend it to many of my patients, with circulation and cardiovascular problems. But I've been frustrated that there are only one or two brands on the market I could recommend. The problem is that too many natto supplements contain enzymes with significantly reduced potencies. I've seen test results from a variety of brands and I have to say I've been extremely disappointed. What's worse, many brands don't bother to test their natto at all. You may as well be taking a sugar pill for your heart and circulation — THAT is how weak and ineffective so many of them are. That's why I'm so excited to tell you about a nattokinase product developed by my friends at Advanced Bionutritionals. It's called Advanced Natto Formula. Advanced Natto Formula contains a laboratory-confirmed amount of active nattokinase enzyme. 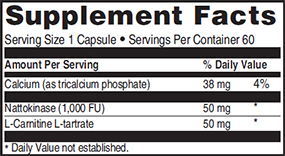 Each capsule contains a verified 1,000 FU (fibrinolytic units) — to give you a full 2,000 FU per day. Fibrinolytic units measure the amount of active fibrin-dissolving enzyme. Like that can of soda I talked about earlier, the more "fizz" in the enzyme, the more potent it is. Triple-Tested for Enzyme Activity and Effectiveness! As you've read here, the amount of enzyme activity is what makes nattokinase such an incredible heart-healthy nutrient. Potency Test #1: The first test is conducted by the manufacturer. Every batch of nattokinase is tested for potency when it's made. A certificate of analysis accompanies every batch of raw material to our plant. Potency Test #2: Once the material arrives at our plant, the nattokinase is tested again. Each batch is verified to provide at least 20,000 FU per gram. Potency Test #3: Finally, once the nattokinase has been packaged in final capsule form, it undergoes one last test for enzyme activity. Each capsule is confirmed to provide at least 1,000 FU (2,000 FU per day). What's more, Advanced Natto Formula is made under the most current Good Manufacturing Practices (GMP) guidelines. Plus each and every bottle must meet or exceed the quality standards set forth by the United States Pharmacopeia specifications (USP30). Simply put, this is my favorite nattokinase product on the market right now. I couldn't name another manufacturer that maintains the same kind of high quality standards and testing best practices to ensure maximum potency and freshness. L-Carnitine supports the metabolism of fatty acids and helps deliver these fatty acids to your mitochondria — the "engines" of your cells. The mitochondria are where fatty acids are converted into energy. So L-Carnitine promotes healthy heart cells, maintains lower triglyceride levels, and supports circulation. Other ingredients:Vegetarian capsule (vegetable cellulose, water), powdered cellulose, rice bran extract, and rice hull concentrate. One double-blind trial study4 reported in the journal Circulation showed a significantly increased walking distance among people suffering from weakness and pain in their limbs due to poor circulation. After supplementing with L-Carnitine for three weeks, volunteers increased their distance by 75% when compared to those with similar health problems who took a placebo. L-Carnitine is a perfect complement to nattokinase to help support your cardiovascular health, and with Advanced Natto Formula, you'll get a full 100 milligrams each and every day. I'll take Advanced Natto Formula with Nattokinase and L-Carnitine now. 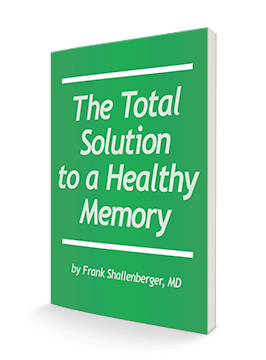 Over the last few years, nattokinase has undergone numerous tests and found to be just as safe as a sugar pill. As you may know, vitamin K2 has been known to produce adverse reactions with the blood-thinning drug warfarin (Coumadin). Because of these concerns, I was glad to hear that the K2 has been all but removed from Advanced Natto Formula. In fact, each capsule of Advanced Natto Formula contains less than 1/10th ppm (part per million) of Vitamin K2. Get introductory pricing... and SAVE! I don't know of any other product out there that combines the proven circulation-supporting benefits of nattokinase with the heart healthy benefits of L-Carnitine. In fact, if you were to purchase these two ingredients separately, you could easily pay more than $40 for a 30-day supply. 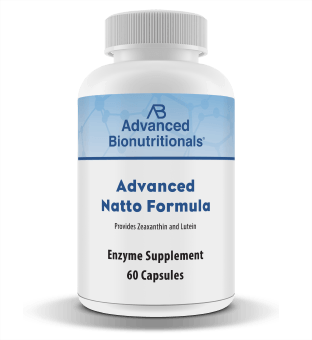 That's why I'm delighted that my friends at Advanced Bionutritionals are offering special pricing on Advanced Natto Formula so I can introduce it to my patients and readers like you at a significant cost savings. You'll pay as little as $24.95 per bottle plus you can qualify for free shipping & handling! Get started with Advanced Natto Formula now. Like all products offered by Advanced Bionutritionals, you are protected by a down-to-the-last-capsule guarantee within 90 days of your purchase. If at any time you're not satisfied with Advanced Natto Formula, just return any unused portion for a full refund — including shipping and handling charges. No hassles, no questions asked. It's easy to order — simply click here or call 1-800-791-3395, 24 hours a day and 7 days a week. Keep in mind that to derive the most benefits, I'd highly recommend you start with at least a 3-month supply. That will save you 11% off the single bottle price. Better yet, ask for the 6-month supply. At just $24.95 per bottle, you'll save 17% off the single bottle price. Plus shipping is free! P.S. Make no mistake about it: I believe that the potency and quality testing that every bottle of Advanced Natto Formula undergoes sets it apart from other nattokinase products in the marketplace. I urge you to try it without delay. And with a no-risk 100% money-back guarantee within 90 days of your purchase, you risk nothing. You can follow this link to have Advanced Natto Formula rushed to your doorstep. Or call toll-free at 1-800-791-3395, 24 hours a day and 7 days a week. ACT NOW! Order Your Advanced Natto Formula Today!